A new report from Simon Fraser University claims there is at least a 90 percent probability of an oil tanker spill if the Enbridge plan for the Northern Gateway pipeline goes ahead. But the president of the Northern Gateway Pipeline project is dismissing study as flawed, saying it doesn't reflect the new technology proposed for Northern Gateway. The report's lead author is Tom Gunton, director of the resource and environmental planning programme and former deputy environment minister for Mike Harcourt's NDP provincial government. Gunton said his team used a standard model used by the U.S. government for projecting spill risk — and the new numbers are much higher than those used by Enbridge. Gunton says the risk analysis submitted by the company to a federal review panel has many deficiencies, including using data that under reports tanker incidents. "Enbridge makes no attempt to adjust for this underreporting and consequently underestimates the probability of tanker spills,"
His analysis found the likelihood of a tanker spill ranges from one every 23 years to one every 196 years — higher than the one every 250 years estimated by Enbridge. 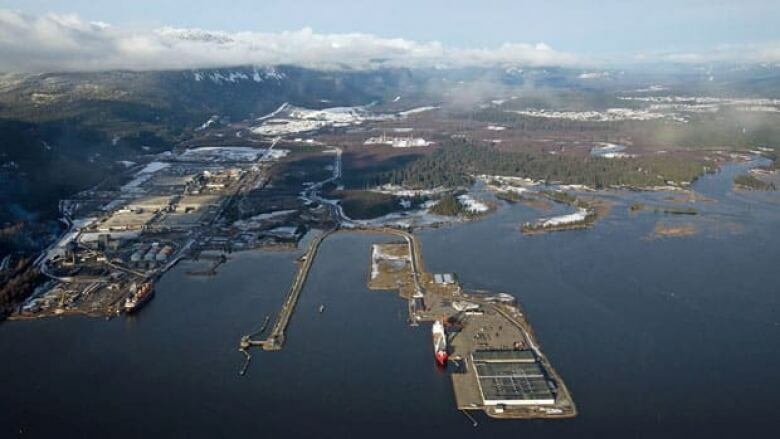 It said a significant oil spill at the tanker terminal that would be built in Kitimat, B.C., as part of the project is possible once every 15 to 41 years, compared to the company estimate of once every 62 years. And there are likely to be 15 to 16 pipeline spills a year on land, compared to Enbridge's estimate of one every two years, he said. "It would be nice if at some point somebody said, 'Let's go back, Enbridge, and let's redo this analysis...let's get all these researchers together and come up with some numbers that everyone has confidence in so we can make an informed decision.'" In response, John Carruthers, president of Northern Gateway Pipelines, says its Gunton's report that is misleading, not his company's numbers. He pointed out that Gunton appeared as a witness at federal review panel hearings for Coastal First Nations, a group that opposes the pipeline, but did not submit the report for review by the panel. "All of Northern Gateway's conclusions have been subject to peer review, information requests and questioning by interveners and the Joint Review Panel," Carruthers said in an email to The Canadian Press. The study was released days before the questioning phase of the hearings comes to an end and too late to be submitted, he said. "Given the timing, we can only conclude this study was purposely kept off the evidence record to avoid being tested in the hearing process," he said. The spill numbers are inflated, Carruthers said, and the study does not reflect the new technology proposed for Northern Gateway. "Their study results are not borne out by real world tanker spill statistics. Based on Gunton's estimates we should expect 21 to 77 large spills every year worldwide while in reality after 2000 it has been below 3, and in 2012 was zero," Carruthers said. B.C. media mogul David Black, who plans to build a new oil refinery in Kitimat, also dismissed Gunton's report. "I mean, we've only got one pipeline and it hasn't leaked in 60 years," he said. "I don't know where Mr. Gunton gets that stuff from, but it's purely academic stuff. It's not rooted in the reality of what a modern pipeline is like." B.C. 's only existing oil pipeline is Kinder Morgan's Trans Mountain Pipeline, which was ruptured when an excavator working on a sewage line in Burnaby pierced a pipeline in July 2007, releasing more than 250,000 litres of crude oil. About 70,000 litres of crude oil flowed into Burrard Inlet, sparking a $15-million cleanup. Three companies eventually pleaded guilty to 21 charges in the incident. The pipeline was built in 1957. The review panel weighing the pipeline is expected to wrap up the questioning phase of hearings in Prince Rupert this weekend, and final arguments will begin in Terrace in June.